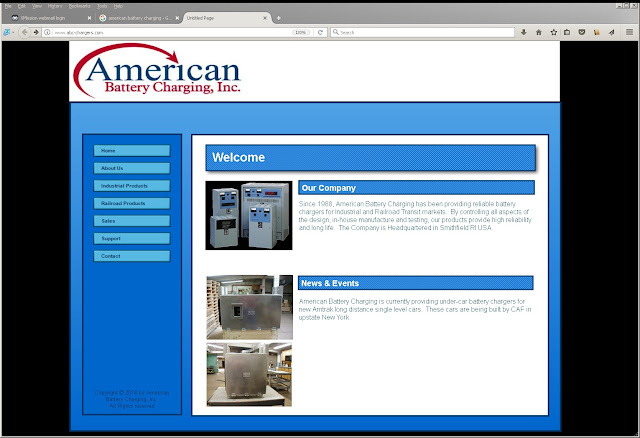 Our congratulations go out to our long-time customer American Battery Charging, Inc. of Smithfield, Rhode Island for concluding a successful run, ending with the sale of their business to a third party. Their last day of operations in Rhode Island was in early July of this month. American Battery was an Advanced Accounting 5.1 user from 1996 to 2017 and we enjoyed working with them in support of the accounting package and in making various custom modifications most of which were made in June of 1999 and which remained in continuous use until this month. A heavy bills of material user, they made significant use of the ability of Advanced Accounting to nest BOM's up to nine levels deep. In order to do this, the software makes a recursive subroutine call that is unique to the BOM module. They had intended to upgrade to the latest version but initially in its implementation with their data we jointly discovered an issue with builds in the spring of 2013 that were more than three levels deep which was later resolved later that same year and which resulted also in other significant enhancements to the build process in the newer version. In view of their future plans, they elected to continue to use the 5.1 version. The data in their 5.1 system was ultimately made available for querying via SQL, allowing pertinent data to be carried over into the financial system used by the acquiring company. Our best wishes to go out to the former employees and owners, some of which were ready for retirement, and some of which have stayed with the acquiring company.